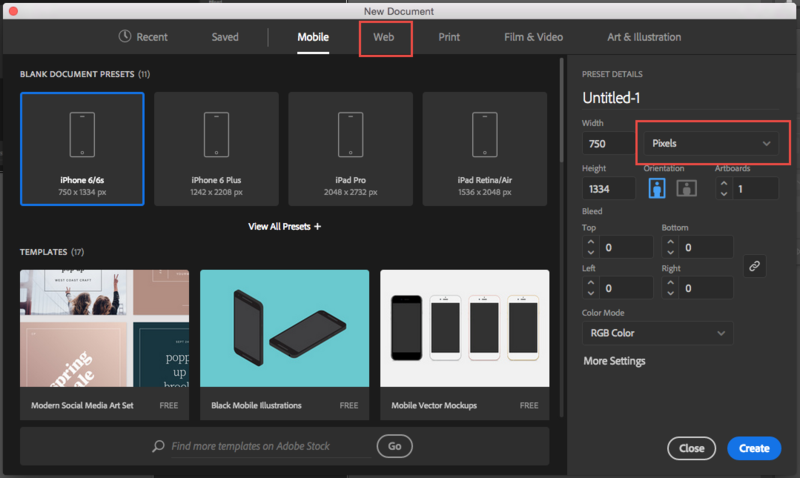 When usint the Start screen in Adobe programs its really important to get the Design intent correct, essentially it comes down to one of two intents, we have a ‘Print’ intent or a ‘Web’ intent, also it can be referred to as ‘Hi res’ and ‘Lo res’. Essentially the ‘Design intent’ is dictated by how and where we are going to be publishing the document, if we are using Adobe Photoshop and we choose a Print intent (see screen grab below) the presets change to being all our A sizes A4, A5 etc and it also puts the resolution of the document up to 300ppi which is a standard Print resolution that we should all be aiming for. 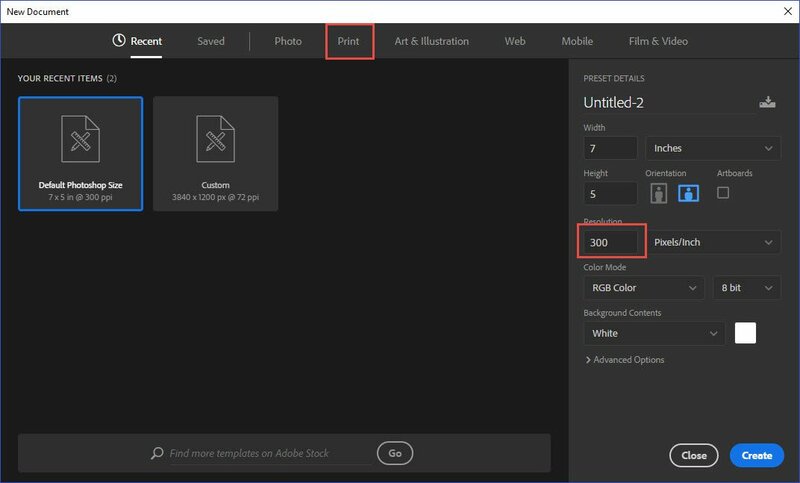 When we choose a ‘Print’ intent in Adobe Photoshop, Adobe Illustrator or the Adobe InDesign start screen the most important thing it changes for us is the presets, and also the units change to millimetres which is a standard print measurement. With the ‘Print’ intent choosen fronm the start screen in Adobe Photoshop it will create a 300PPI document for us, however in Adobe Illustrator and Adobe InDesign there is no resolution information, the resolution of images in these programs are dictated by the image files that we place in to them. 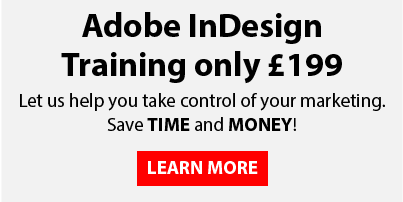 Adobe InDesign is far superior in handling placed images over Adobe Illustrator, in Adobe InDesign we get a links panel that gives us all the resolution information for every image that we place in, it even recalculates the resolution information as we make the image bigger and smaller. 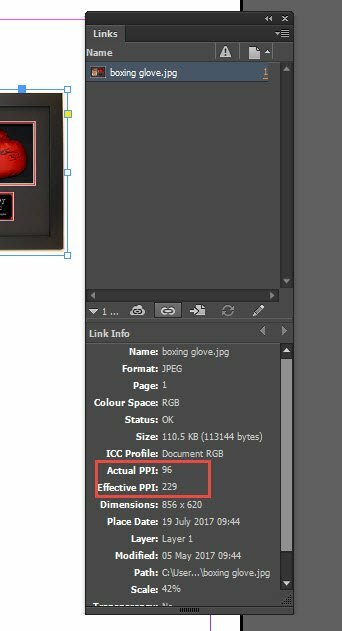 We also get a links panel in Adobe Illustrator but it only shows us a list of links that we have placed in and does not give us all the resolution information of the image. 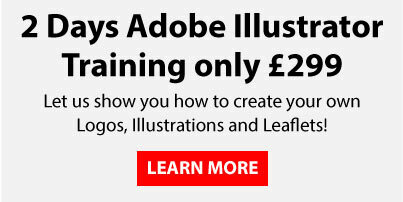 When we choose a ‘Web’ intent in from the start screen in Adobe Photoshop, Adobe Illustrator or Adobe InDesign all the units change to Pixels, it is really important if we are creating a document to be viewed on a screen that the size is correct in pixels, especially if we have a specific slot for the artwork to fit in, even Facebook, Twitter and Instagram have optimum sizes for any post that is uploaded.